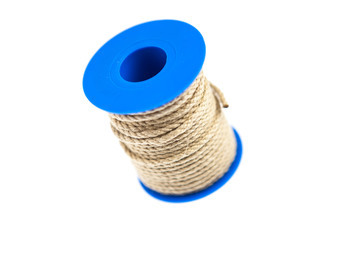 In this category you can find twisted polyhemp ropes (also called synthetic hemp rope, Hempex® or Spleitex®) manufactured from polypropylene spun fiber yarn. Poly hemp ropes are very grippy and very handy to hold, relatively cheap, weatherproof, very light and floatable but not very resistant to abrasion and temperature. 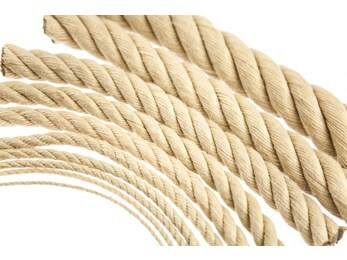 Polyhemp ropes are difficult to distinguish optically and haptically from natural hemp ropes, but they have some advantages. Poly hemp ropes are neutral in smell, doesn't adsorb any liquid (f.e. sweat from hands), washable with a damp cloth and therefore easy to clean.